Throughout the Christmas season, I wrap gifts whenever I find some time. To keep supplies right at hand, I keep Christmas wrap on top the fridge. 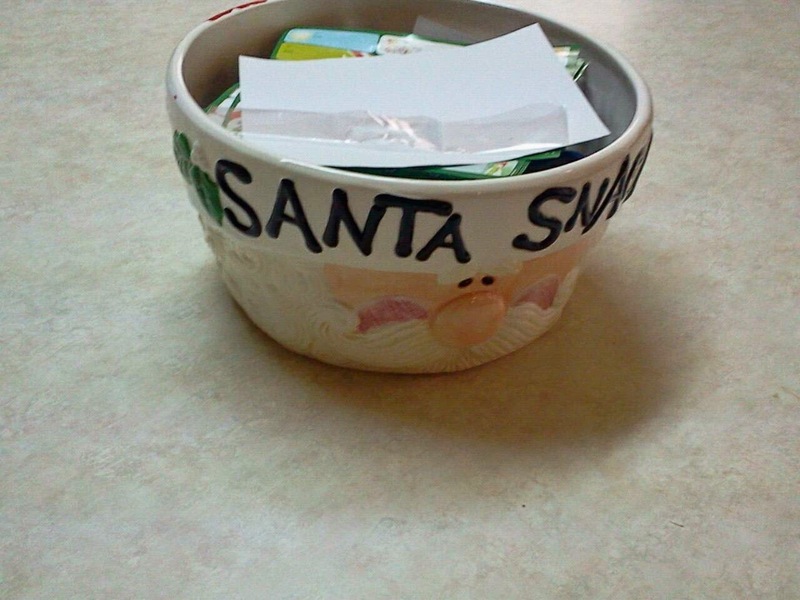 And I put tape, scissors, labels, pens, and markers in a cookie jar. Be nice tonight. You can always be naughty tomorrow.